I accepted the Wooden Spoon Challenge from my friend, Tracey Gee. 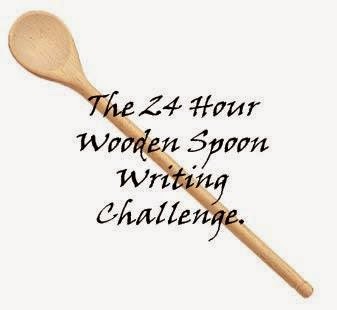 Tracey challenged me to write a historical short story under 2,000 words that also involved a wooden spoon and a turtle. Because I’m a brat, I also incorporated the two other elements from Tracey’s challenge into mine: daffodils and sci-fi. What do you get when you ask Jess to write a sci-fi historical with daffodils in it? Seren waded through the wreckage of the city center, walking instinctively toward the hole in the ground that used to be Swansea Market. The streets had only just cooled enough that they could be walked on again. Her mother should be at work by now, but the market was gone, and her stall with it. When Seren had left, her mother had been in their narrow kitchen with three other ladies from Bernard Street, speaking in hushed tones over tepid cups of tea. The house next door had suffered a direct hit and lay empty, still smoking days later. Mrs. Turner had been so proud of the renovation of her sitting room; now anyone could see the remaining half of it just by walking past. Seren had just left when the bomb had hit. She had hidden in the Turners' Anderson shelter for three days and nights while the Nazis pelted the city with hundreds upon hundreds of bombs. She clutched her pet turtle, Speedy, as she listened to the destruction of her hometown. The sky was bright as day and she could see everything inside the shelter; the look on Mrs. Turner’s face, her hands over Bobby’s ears. Her own tears running in shining stream over her Speedy’s shell. Funny, she hadn’t realized she’d been crying. Time had passed differently in the Anderson Shelter. Days and nights melted together into one long, terrible afternoon, the smell of smoke everywhere, in everything. She had remembered herself sometime during the third day. It was her hunger that brought her out of her panic-induced detachment. Her mother had put a batch of Welsh cakes on the side just before it had started and she had sent Seren to the Turner’s house to take cover. They would likely be there now; stale, perhaps, but they would still be good with jam. That was all she had been thinking about when she left. Without a word, she slipped out to return home for a bite to eat, reaching the front door just in time to see the bomb coming. The Turners were gone. Seren would be, too, if not for a sudden craving for Welsh cakes. Seren stopped by the entrance to the market, or where it had been the week before. Her family was alive and their house untouched, but four boys in her class were dead, along with her maths teacher, the Turners, and hundreds of others. The city center was unrecognizable and with the market gone, no one knew where to go for food. There wasn’t so much as a sound in the city center. A seagull pecked at something beside a postbox that had somehow avoided destruction. A strange thing to see, a fat red pillar in a sea of grey. Just beyond, something blue. The blue became brighter as the police box materialized before her eyes. Funny he should pick such a time to visit. There was nothing left to see. The door opened and the Doctor strolled out. This time he was an older man apparently dressed as a magician. Seren frowned, wondering if it was the same person who had saved their Christmas years before. Surely there couldn’t be more than one person who travelled in a disappearing police box. “Old enough! Come along now, we’re going to be late.” He turned and headed back to the box. She forgot what she’d been about to say as she stepped inside the police box to find an enormous room filled with buttons, levers, and flashing lights. Seren clutched her turtle as the ground shifted beneath her. It settled again with a groan. The Doctor strode past her in a flurry of coattails and threw open the door. Seren followed him and cautiously peeked out. Outside was a place she didn’t recognize. It was a market, but not like any market she’d ever seen. A row of covered stalls stretched out before her, loaded with watches, spices, cheese, and even candles. She smelled the tang of salt from a seafood counter, little white cups of fresh cockles behind the glass case. People bustled from vendor to vendor in strange clothes, some of them talking into little black boxes they held to their ears. “Sorry!” She called, running after the black coattails disappearing into the crowd. The Doctor stopped abruptly in front of a wooden stall of Welsh cakes and she crashed into him, falling backward against a stall. Something wooden hit her head and bounced harmlessly off of Speedy’s shell, clattering to the cement floor. Speedy was unfazed. She picked up the object to find that it was a wooden lovespoon, carved in an intricate design of knotwork twisted around a daffodil in full bloom. The word hope was carved across the heart-shaped bowl in a curving hand. Seren climbed to her feet and joined him at the counter, stroking Speedy’s shell reassuringly. He’d been through a lot. She looked around herself as the Doctor ordered a packet of cakes, wondering if it they could really be in Swansea Market. It was bigger than the market her mother had worked in, and covered so that they appeared to be indoors. Had they rebuilt it? The Doctor waved a packet of Welsh cakes under her nose. She grabbed one and took a ravenous bite. It was still hot and the sugar melted on her tongue. She smiled for the first time in days. A girl looked at her curiously from behind the counter. “His name is Speedy,” Seren informed her, shoving the last of the Welsh cake into her mouth. “Yes, dear, but what are you called?” The Doctor prompted. “I’m Seren,” the girl introduced herself. “I was named after my grandmother,” the girl added. The woman only smiled at him blankly and began flipping cakes on the griddle, the currants peeking out from the gooey centers. Her every movement was careful, methodical, and there was something about the way she moved her hands that made Seren think of her mother back home on Bernard Street. Her eyes settled on the woman’s name badge and again saw that word. Hope. She followed him through the market, munching her Welsh cake. There was no rush this time, only a pleasant, meandering walk through the dozens of stalls. 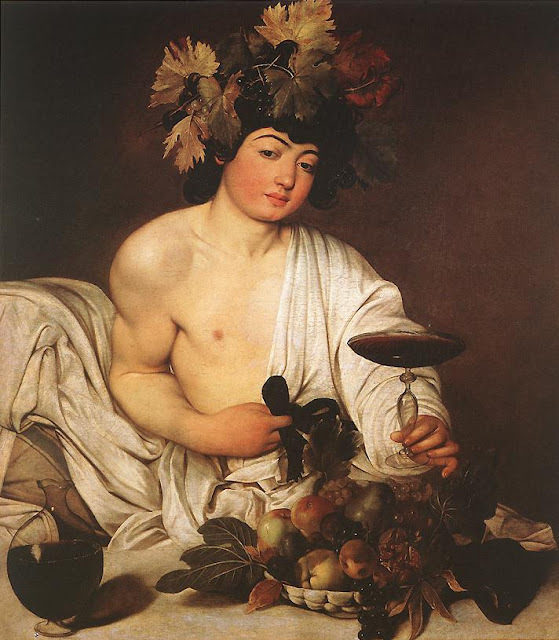 They passed olives, incense, flowers, and a corner full of tables piled high with vegetables. “Is this really Swansea Market?” She asked. She followed him into the police box and held her turtle tight as the box began to shake once again, trying not to crush the last Welsh cake in the packet in her fist. The ground settled, the door opened, and again she stood in front of the pit where the market had been. This time it didn’t look half as desolate as it had before. She thought of the people shopping at the covered stalls, blissfully unaware that there had ever been a bomb, let alone hundreds of them. The market had recovered and maybe, given enough time, she could, too. Seren looked into the pit and saw the same destruction, but this time, there was a glimmer of something else beneath the ashes. You can learn more about Wales's Blitz here. Comment here and let me know if you want a challenge of your own! You get 24 hours to write it and I get to pick the guidelines...bwahahahahah! Oh my goodness you rock so much! I can't say I know much about the Dr but I loved your story! Such inspiration among desolation.